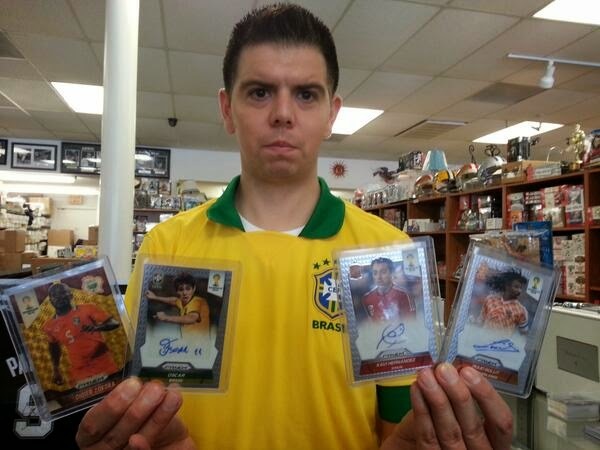 In this section, we will post pictures of our loyal customers and their big pulls. 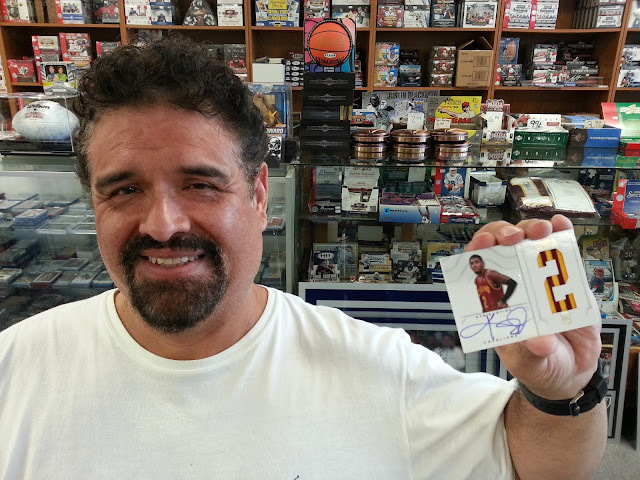 If you have had a big pull from a box or pack from our store, come on by for us to snap your picture to post in this section! We have had over 50 Michael Jordan autographs pulled from our packs in the last seven years. 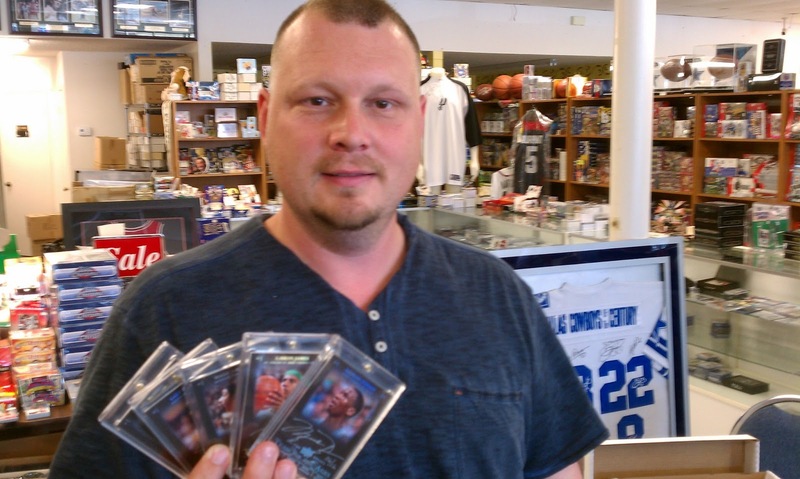 Since Upper Deck no longer produces NBA Basketball we will see fewer and fewer "Jordan Pulls." 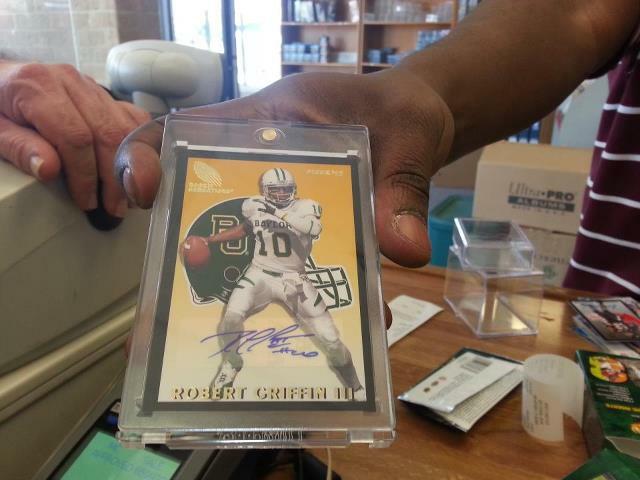 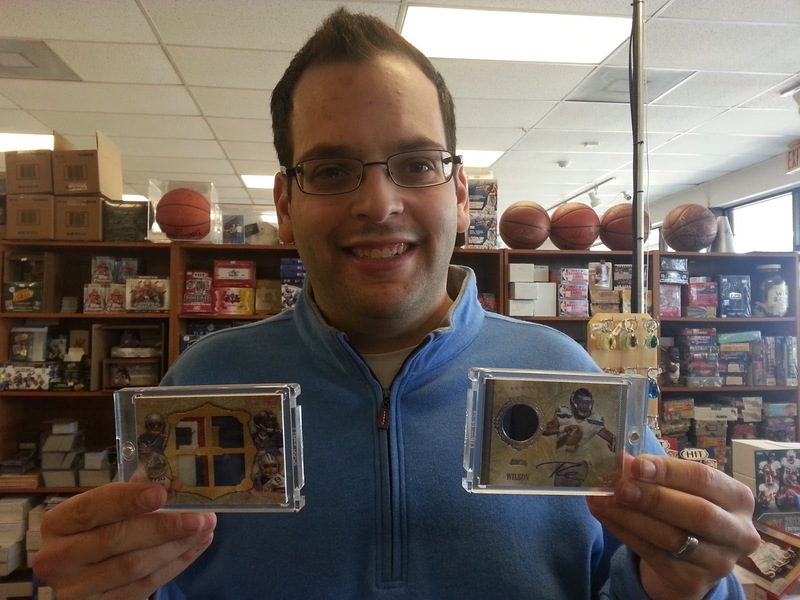 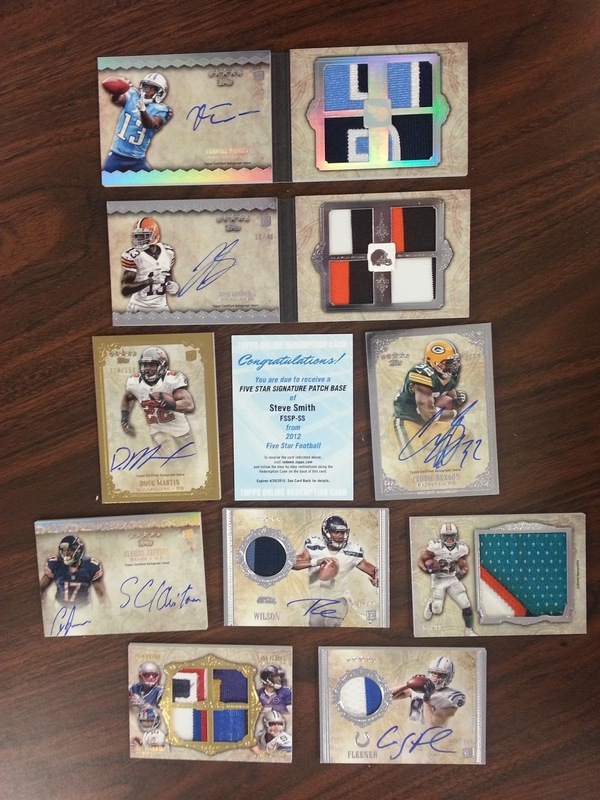 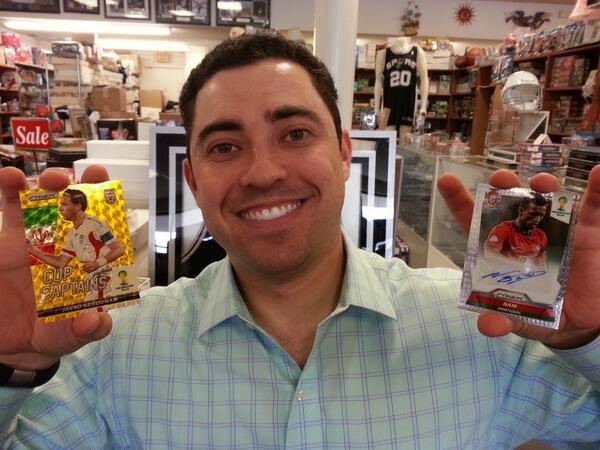 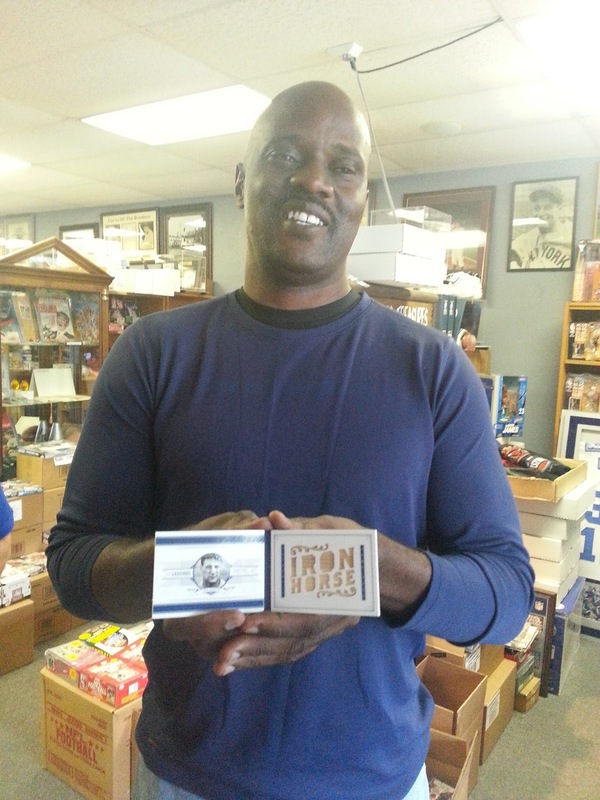 In the picture above, Jonathan pulled two in one day from one case of UD Black Basketball. 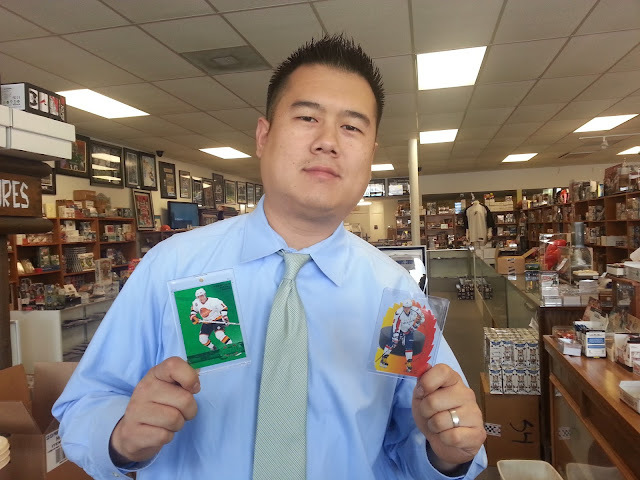 The one on the left is a Michael Jordan, Magic Johnson, Larry Bird, Dr. J. one of one. The second photo show the same four greats from 06/07 UD Reserve numbered 3/5 - NICE! 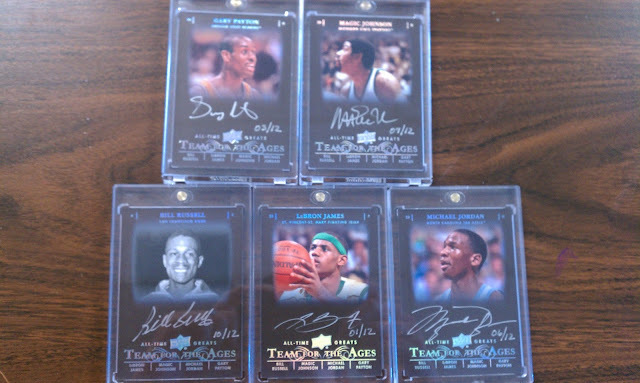 Since there will be very few Jordan autographs coming out of new products, I believe you will see an increase in value of Jordan autos. 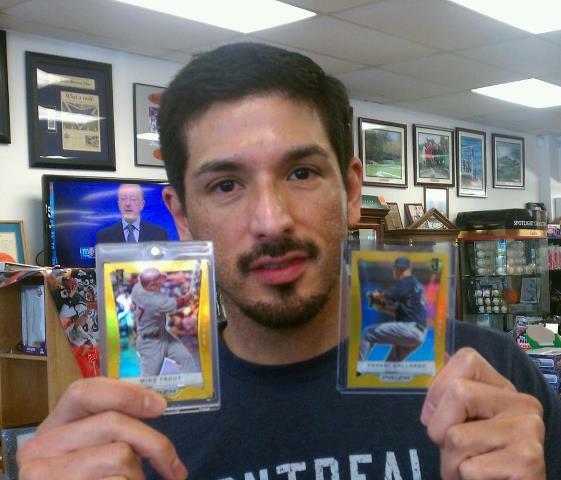 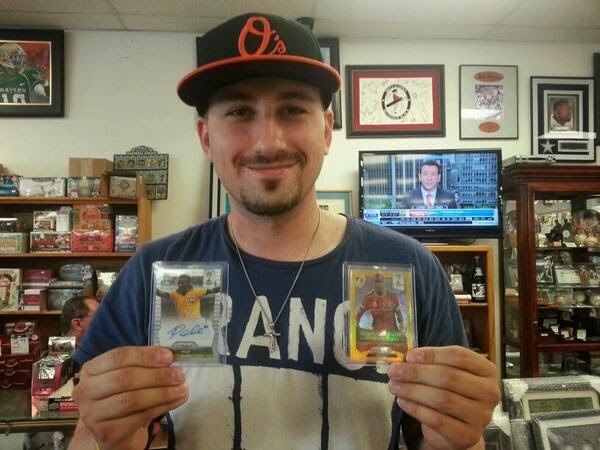 Leland recently pulled two great hits from Donruss Elite. Wouldn't you know it he got just what he said he wanted, Tim Tebow. 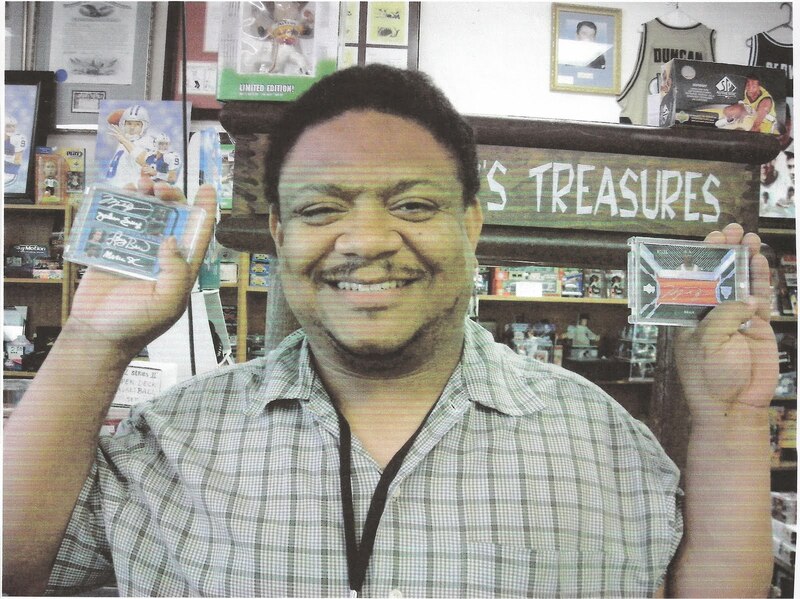 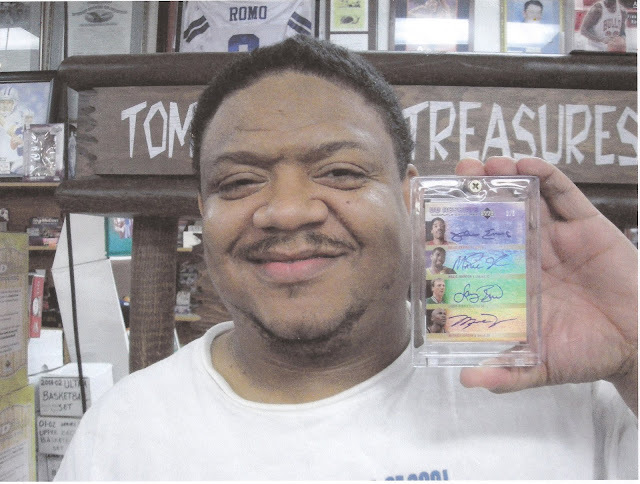 On Saturday, December 3, 2010 this out of town collector pulled a Michael Jordan Legacy Collection Jersey Card #d/23. 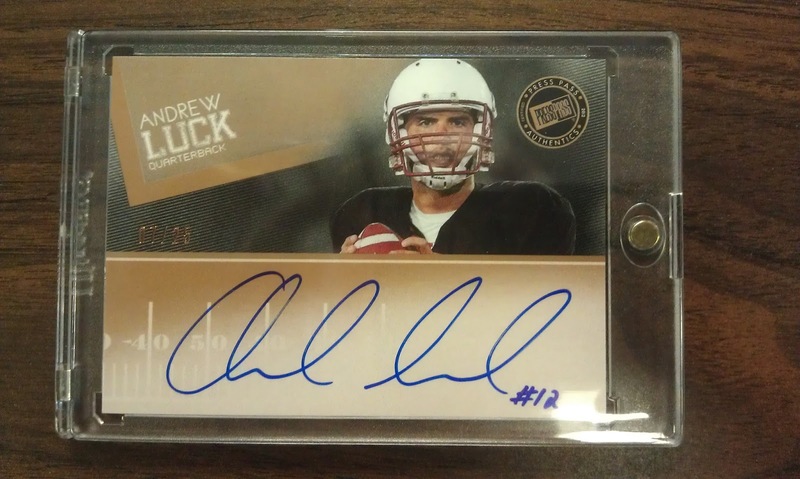 This is the second one pulled out of one of our boxes. 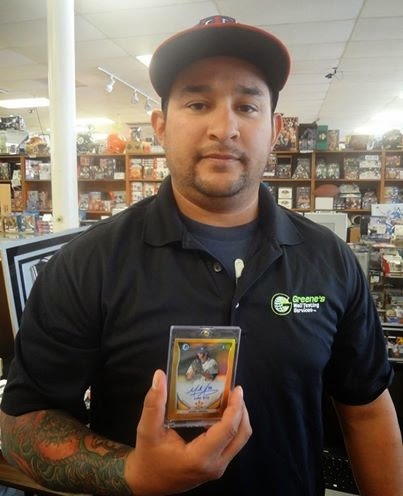 Although this card is too rare to be listed in Beckett Price Guide, one of our customers sold one like this one on eBay for $165.